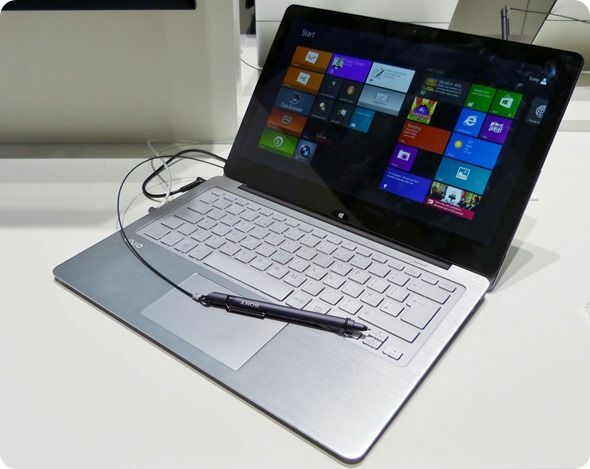 Tag Archive | "IFA 2013"
The Sony Vaio FIT Multi-Flip is another example of some of the innovation going on in the laptop market right now. 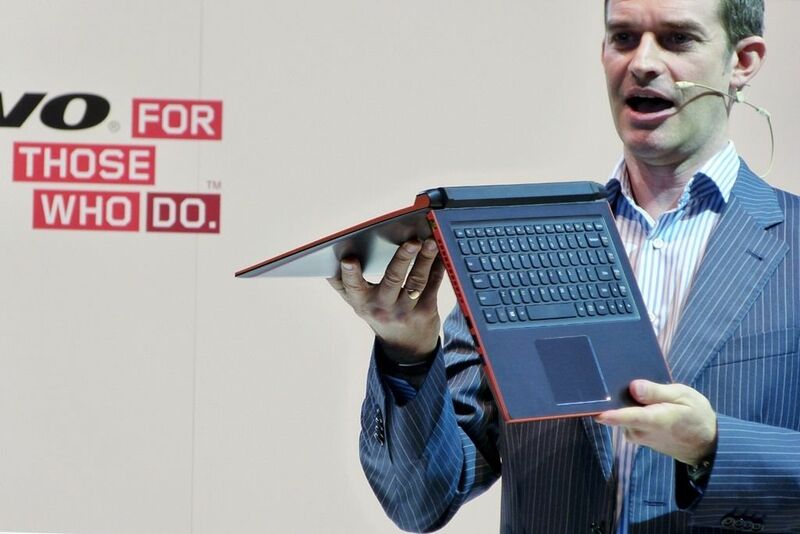 It’s the Ultrabook platform that gives designers and engineers the flexibility to build designs like this. Once again, Sony include a digitizer layer and a feature-rich product. The Lenovo Flex 14, a ‘value’ variant of the Lenovo Yoga, starts at just 499 Euro. It’s running Haswell, has a touchscreen and a good keyboard. The battery is removable and it does this screen rotation trick. Don’t try and turn it into a tablet though because the screen only turns about 270 degrees round! Just announced at IFA. 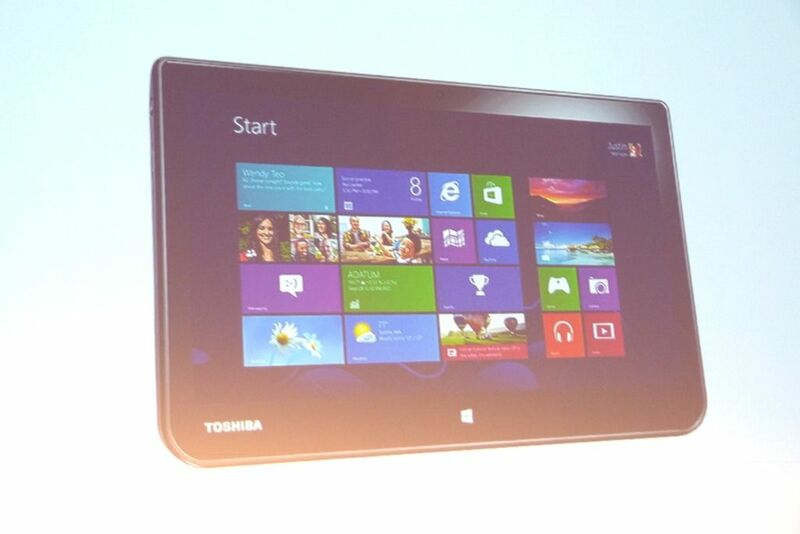 The Toshiba W30DT, a 2-in-1 ‘Home’ Tablet with docking station. Interesting is that this one is running on AMD A4.